Something from my bar whenever I feel like it episode CXIIIsteemCreated with Sketch. 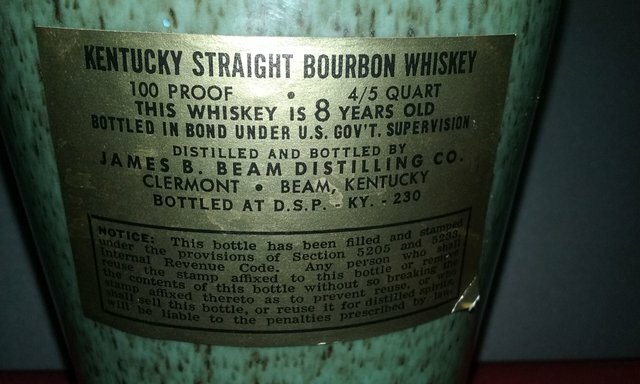 For this weeks bottle episode we have; you guessed it, another Beam bottle. 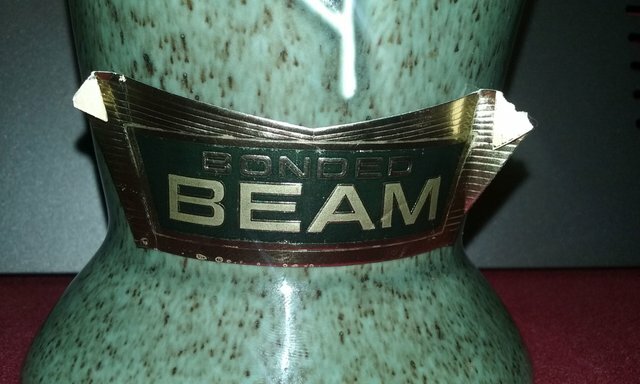 This one is Bonded Beam. I think it dates to 1966 but not positive they could have made these more than one year and there is no actual date on it. It looks like more of a flower vase than a liquor bottle. Even the plant/branch pattern on it just screams vase. Seal is broken and apparently it has been opened but seems still full. Probably seal broken while dusting and the top just moving some.